When you need another way to protect your teeth, you might want to think about dental sealants in Logan Square. Dental sealants are an effective preventive dental procedure used to protect teeth from cavities and decay. Essentially, dental sealants in Logan Square are plastic coatings painted on the chewing surface of the teeth to protect teeth from decay. While sealants are most often used in children—usually applied to the baby molars—adults can benefit in Logan Square from dental sealants, too. This is especially true if they suffer from pits or fissures as they create hard-to-brush areas in between teeth. The application of dental sealants is quick and completely non-invasive—they can be applied in just one visit. 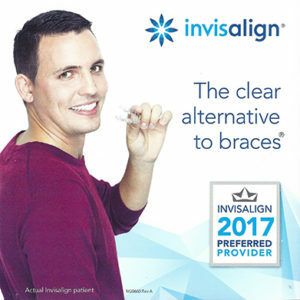 Dr. Guzman or Dr. Fidel, our Logan Square, IL dentists, will start by performing an initial cleaning and evaluation. He or she will then apply the plastic coatings one tooth at a time. The sealants flow into the grooves of the tooth and either hardens on its own, or is assisted with a special light source. Once the sealants have hardened, the teeth are completely protected from bacteria. Acting as a barrier, the dental sealants in Logan Square protect enamel from outside factors such as plaque or acids. Sealants can last for several years before reapplication is considered. As long as the sealant remains intact, the tooth surface is protected from decay. Contact A Brush Above Family Dentistry in Logan Square for dental sealant information and to schedule a consultation today!